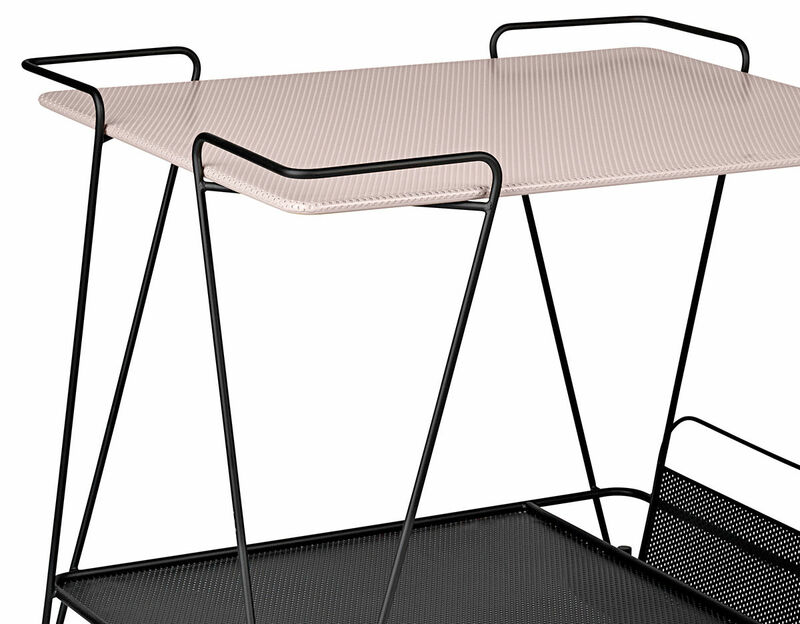 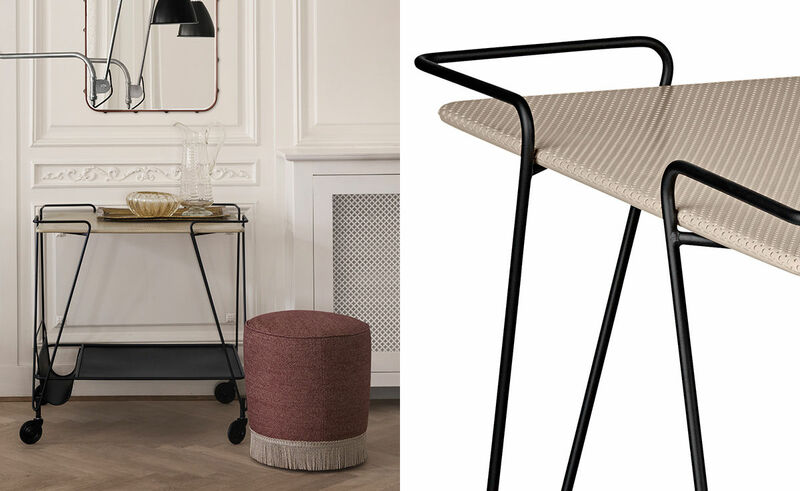 The master and founder of the innovative and groundbreaking technique Rigitulle, where perforated metal is combined with metal tubing, Mathieu Matégot, designed his tea trolley between 1953 and 1954. 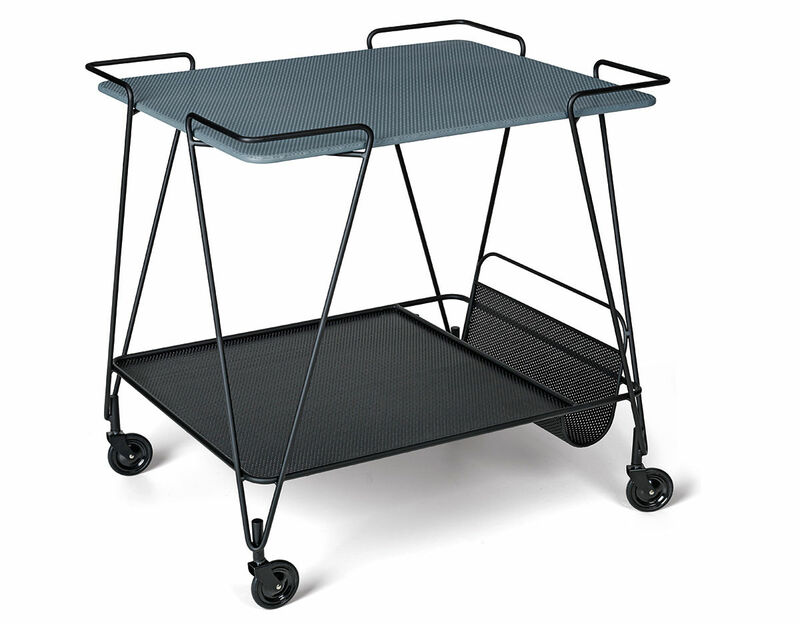 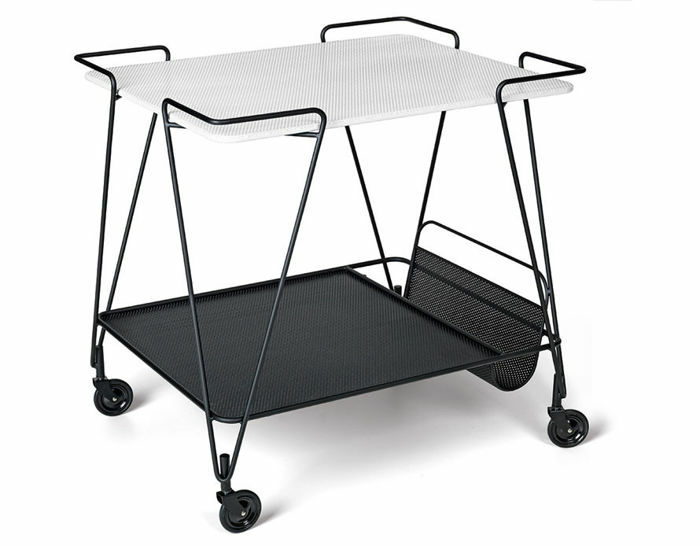 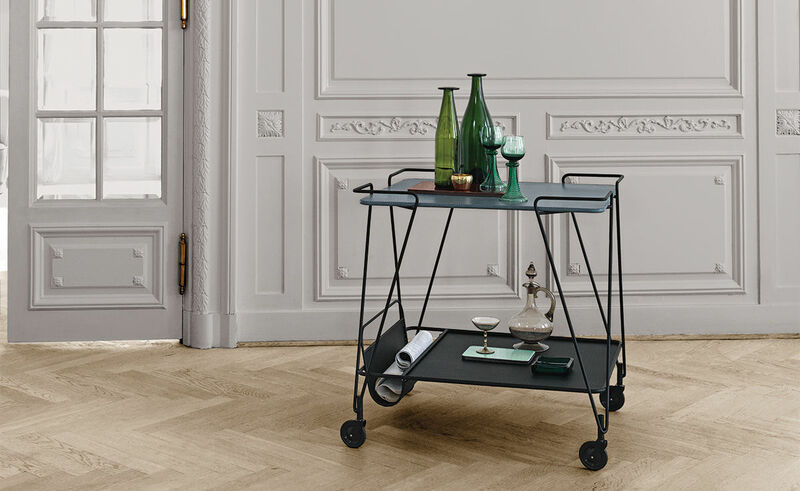 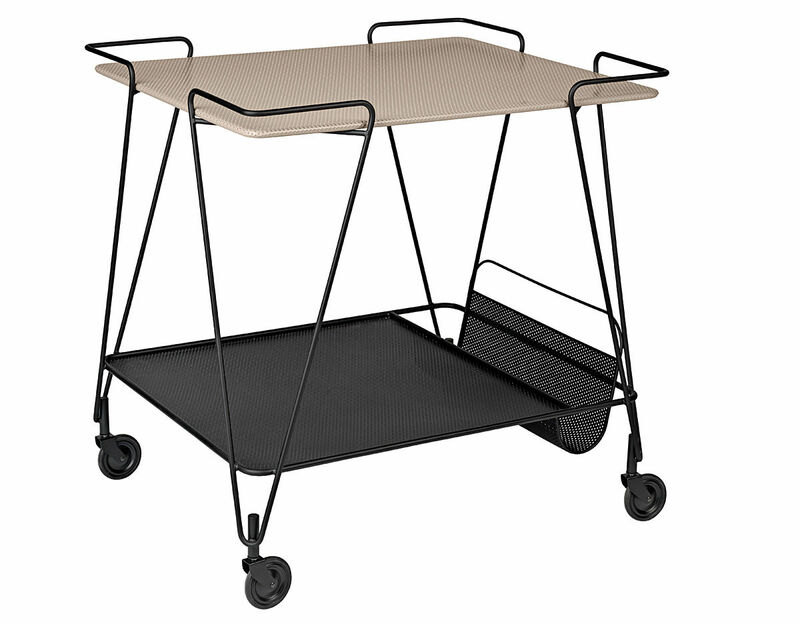 The spacious Matégot Trolley is adorned with two trays, the upper available in the different colors and the lower in black and includes a newspaper holder that proves, with its bent metal design, the technique's strength of being flexible as tulle and strong as metal. 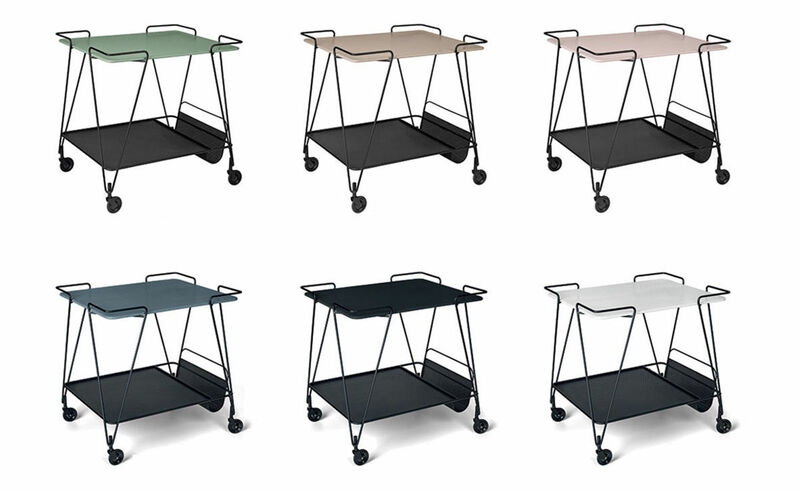 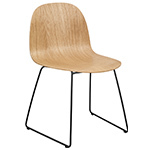 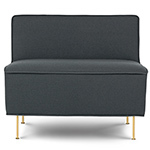 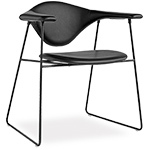 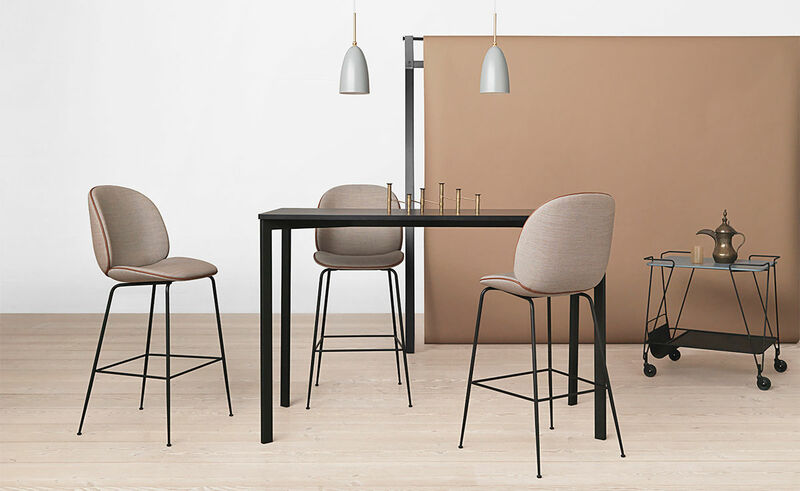 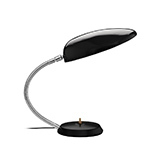 The lightness it evokes is improved by its rolling castors and makes it float along the floor. 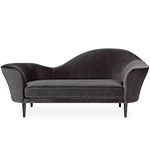 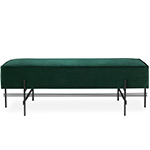 $1,109.00 + free shipping in the continental U.S.